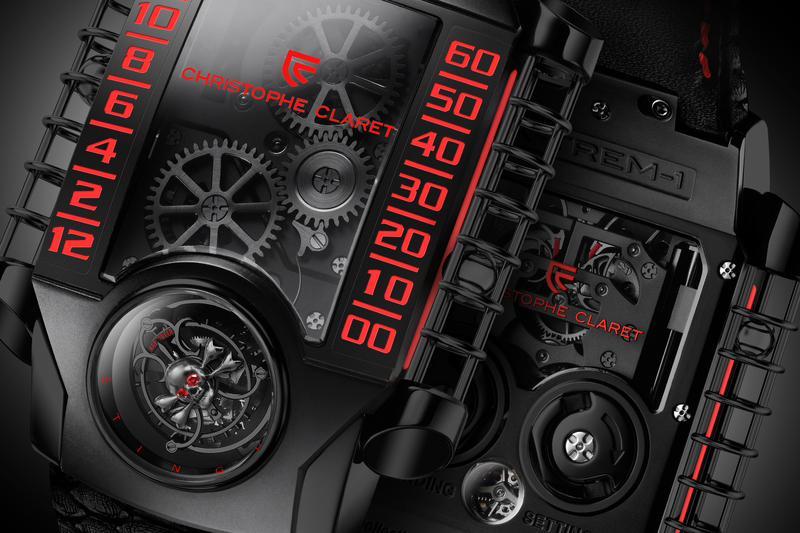 Ahead of Baselworld, haute horology Swiss watchmaker Christophe Claret has announced a new 8-piece limited series made in collaboration with New York-based high-end bracelet and jewelry maker StingHD. 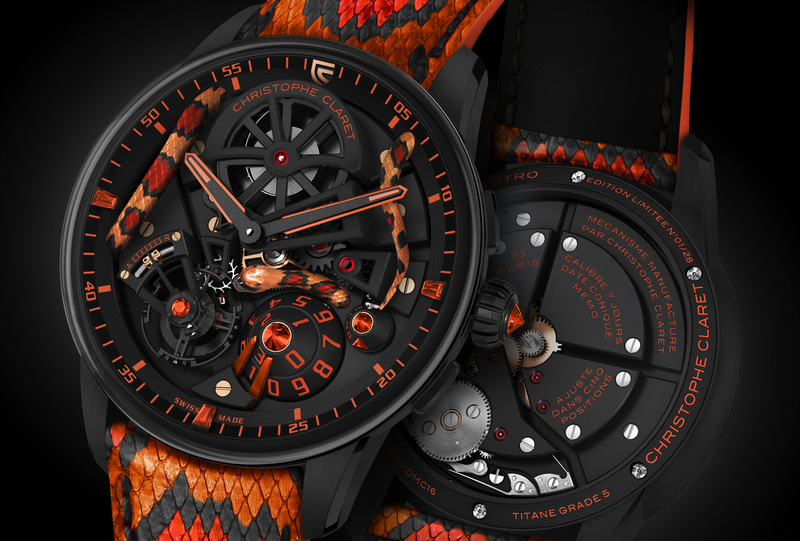 Technically, the Xtrem-1 is the same as the original model that was launched in 2012, but with a new black PVD coated titanium case, as well as skull mounted on the tourbillon. There is even a secret feature that consists of a special treatment on the sapphire crystal that reveals a toothy skull when breathed upon. 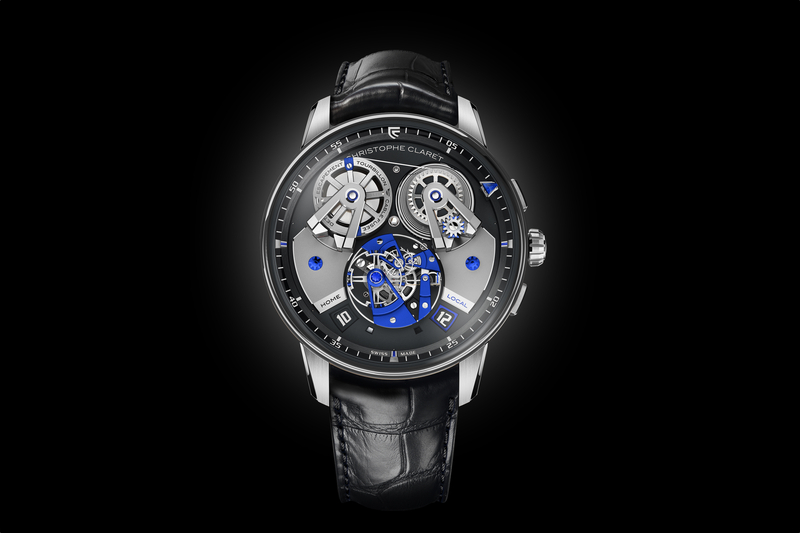 The X-Trem-1 StingHD comes with two straps designed by StingHD: one in black stingray leather, and the other personalized by its owner. Additionally, there is a presentation box that includes a handcrafted bracelet adorned with a black diamond encrusted skull with ruby eyes. (Ref. 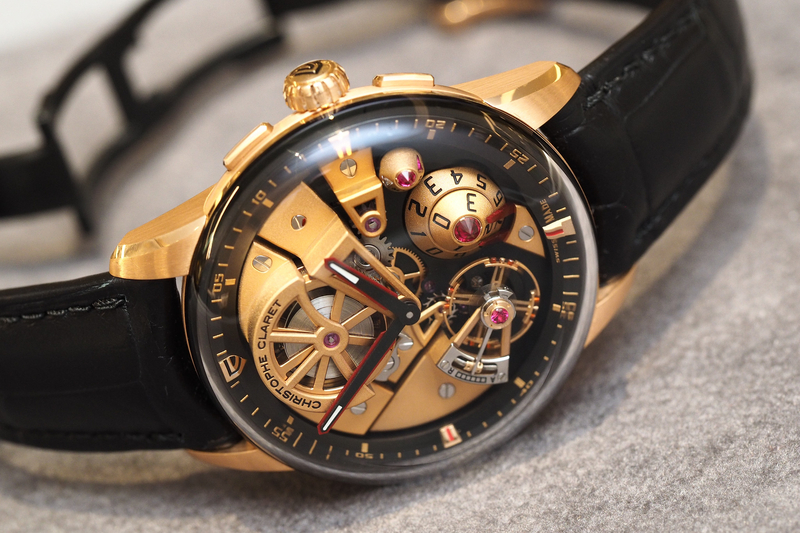 MTR.FLY11.160-168) The retail price is 278,000 CHF.